Original magazine advertisement from the year 1980 for Theodore Tobiasse and Lublin Graphics. 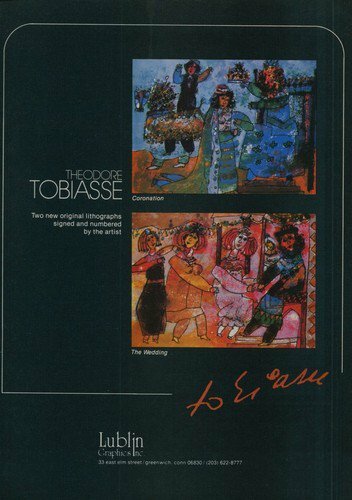 Advertised on the page are two works by Tobiasse titled "Coronation" and "The Wedding," to be published by Lublin Graphics. (Please note that this is a magazine advertisement/magazine clipping only and that no prints or other items are included. )The advertisement was carefully removed from a magazine. The page measures approximately 7 5/8 inches wide by 10 3/4 inches high (including margins, if any).